Are you a season subscriber and not a part of the Director’s Club? 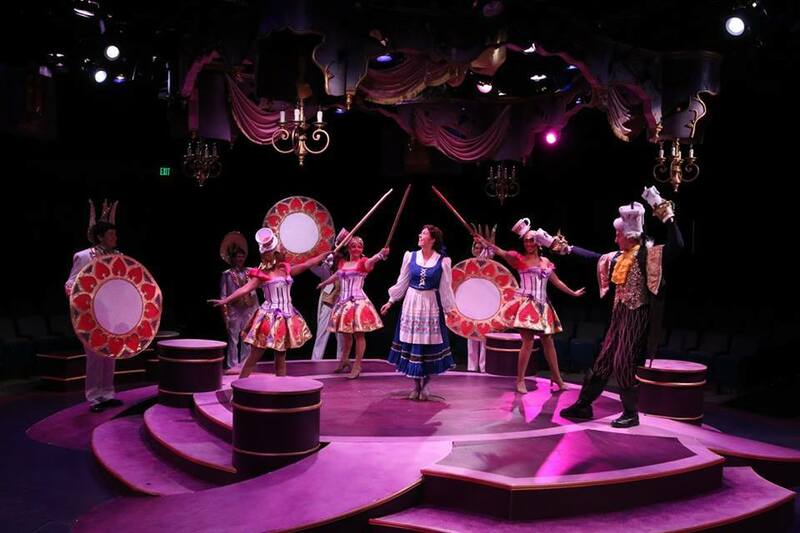 Then consider joining the ranks of these loyal theatre goers and donors! 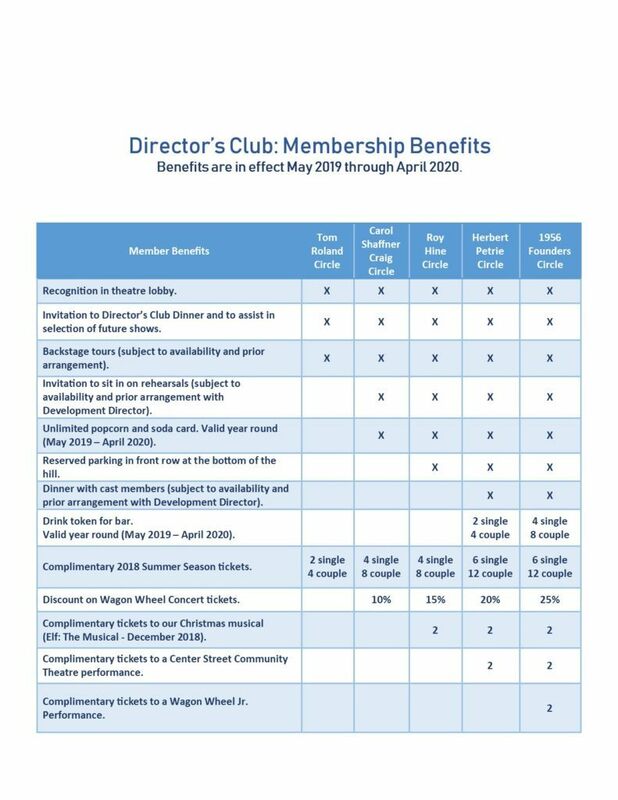 Through an annual donation, Director’s Club members voice their love and support for the Wagon Wheel while also providing funds to keep us rolling for another successful season. As a member, you receive some special gifts from the theatre too! Please contact Elisa Wise, Director of Donor Relations, for more information and to join the Director’s Club.